I’ve never been a slave to technology. Its always had to offer something exceptional to make it into my classroom – ‘Death By Flip-Chart/PowerPoint’ (the need to drive lessons electronically page-by-page) is something I run-a-mile from. You only need to take to Pinterest to see that creative teaching and learning doesn’t need to happen in front of a screen. 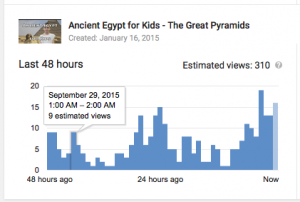 The use of YouTube is different though – it can fuel creative teaching in the most special of ways. The debate over whether or why your own school does or doesn’t allow you access, can wait. The panic and fear around its use is – in my opinion – alarming and unnecessary. Thankfully, I’m lucky enough to work in a school that embraces YouTube’s epic potential. Countless videos have taken our pupils to different worlds; opened their eyes to new possibilities and inspired them to become better learners and individuals. It was time to give something back. When I approached our Headteacher about launching a school YouTube channel, you can imagine his reaction. I think I charmed him into it, and with the support of our safeguarding team, school governors and – most importantly – the families within our school community, NookLaneTV was born. Now – with over 500 subscribers – our work has been shared over 200,000 times, in classrooms in over 180 countries. I won’t bore you with how simple the channel was to set up; nor will I devote unnecessary time to discussing privacy options – it’s not rocket-science. Instead, allow me to discuss the rewards that your own school ‘TV channel’ can bring to your pupils/students and community – rewards that could never be gained without taking to our screens. 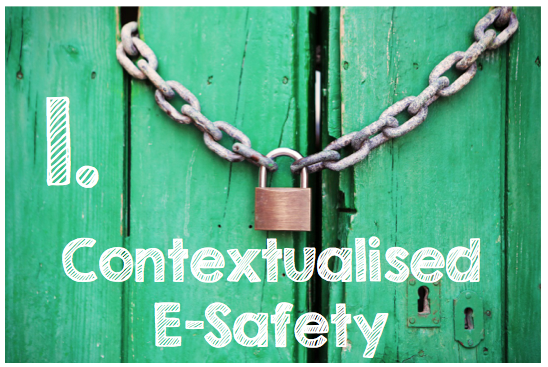 The sharpest weapon used against the use of YouTube in schools is e-safety/safeguarding. Having discussed my intentions with our school e-safety advisor, nothing was said to deter me. Videos are – sorry to state the obvious – simply moving pictures; pictures that the majority of schools will have on their websites anyway. Providing that security is water-tight and you have written consent for anything filmed and uploaded, you can actually flip any concerns upside-down and seize a massive opportunity for your school. Imagine a school in which staff and pupils model excellent e-safety habits in not only the resources they use, but around the online content they themselves create; resources they put forward to be be shared with other schools, teachers and pupils around the world. This partnership; this transparency and joint responsibility, empowers families and children to see YouTube for its true purpose and – with this – opens their eyes to the positive impact of responsible internet use. I recall the first ‘Dislike’ one of our videos received. It evoked a range of emotions which we were able to use as the basis for discussion. Hopefully, such discussion will serve our pupils well in the future; it will provide them with a greater understanding of how their actions and activity online, can affect others. 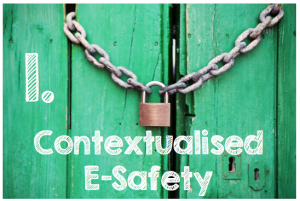 I guess what we’ve created is a personalised, ongoing e-safety unit of work. I must be a member of over twenty closed Facebook groups dedicated to the sharing of creative teaching ideas. 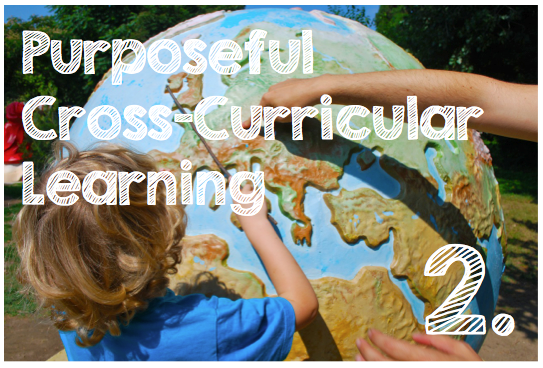 The content can both inspire and infuriate, but the pursuit of cross-curricular links is one post that will always show its face. ‘Can anyone help me with a science lesson linked to (insert random book with no possible link to science)'; or a maths unit-of-work linked to the art of Brazilian embroidery. All around we see hundreds of ridiculous attempts to forge cross-curricular links that are meaningless to our pupils; we spend hours dreaming up these links and convincing ourselves they’re not that tenuous. Imagine a school in which pupils’ learning can be shaped by real-time data from around the world; data generated from the world’s response to their own work. 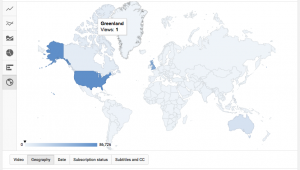 I’m talking about organic, purposeful geography where we explore the popularity of our videos across different continents; inquiries into internet access or viewing habits of different countries and cultures. I’m talking about purposeful literacy; about emailing children from all corners of the globe; about taking on feedback and responding appropriately. Then there’s the data – comparable to the treats in Wonka’s Chocolate factory – with its mouth-watering range of line graphs, viewing figures, reports, revenue and fully interactive analytics suite. If you’re going to teach data-handling, give it meaning and allow your children the chance to explore their own impact on what’s going on in classrooms around the world. Without the need for resources or planning, your school YouTube channel will constantly raise questions and provide you with real-life opportunities to extend learning in the most unlikely of places. To this day, we speculate over the origin of that single view from Greenland! I recall the time our Y5 boys were less than impressed about the thought of a six week gymnastics/dance unit of work – even the promise of getting the ‘big apparatus’ out couldn’t get them going. Our YouTube channel was already thriving at this point, so their teacher played our trump-card. The motivation created by an opportunity to share their end production on NookLaneTV was all it took to turn their frowns considerably upside-down. The results can be viewed on this link https://www.youtube.com/watch?v=o9NmrgjZfVM – the quality of work and levels of enjoyment are on show for the world to see. 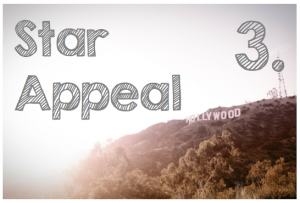 Imagine a school in which pupils feel like film-stars; where opportunities to script, direct and perform are built into their everyday way of working. I’ve seen imaginations stretched beyond anything I’ve ever seen; where the ceiling on children’s learning is blown right off and they can begin to think the unthinkable. We’ve had pupils and classes receive fan-mail and have seen self-esteem and confidence soar across school. As a trainee teacher we were sold the importance of memorable teaching. 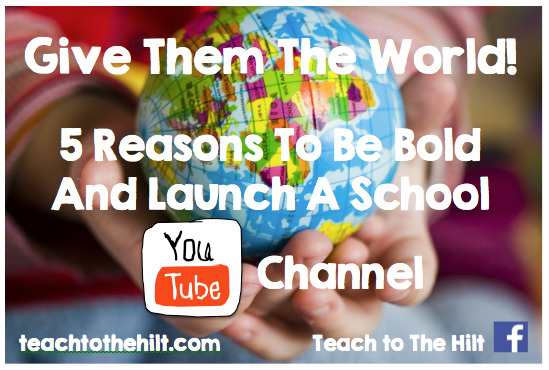 With a YouTube channel you can create inspirational teaching and learning opportunities that money can’t buy; memorable experiences that you can capture and celebrate on a global stage. Suddenly, our pupils started thinking big; they became more ambitious; they dared-to-dream. Work on a wall became work on screens in thousands of other classrooms – essentially, our displays were going up on ‘walls’ around the world. Our songs were being heard across oceans and seas. They started to understand the impact they could have – the same undeniable buzz we teachers get when a someone ‘shares’ or ‘pins’ something we’re proud of. Suddenly, that pupil who rarely ventures beyond his village, sees himself as an important part of a much wider ‘thing’. Broaden your pupils’ horizons: our artwork has been enjoyed in Argentina; our history has inspired kids in Hungary and we’ve supported classes in Canada with their coding. In America, our ‘Frozen Fractions’ maths video has been seen in tens of thousands of schools, and our ‘Big Book Quiz’ helped families nurture a love for reading in over 100 different countries. 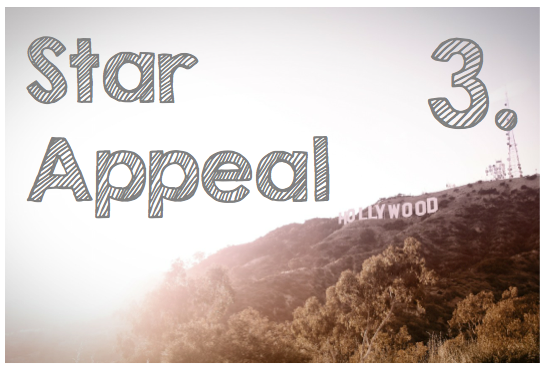 Our school is doing its bit – we’re giving something back. I touched above on the idea of ‘Going Global’ – spreading our wings beyond our village, city and country. I remember when ‘Global Citizenship’ was the latest buzz-word on the lips of educationalists and inspectors alike. Impact wasn’t always easy to evidence. We were all searching for examples when what we were really after was an ethos: a whole-school culture understood by our pupils. 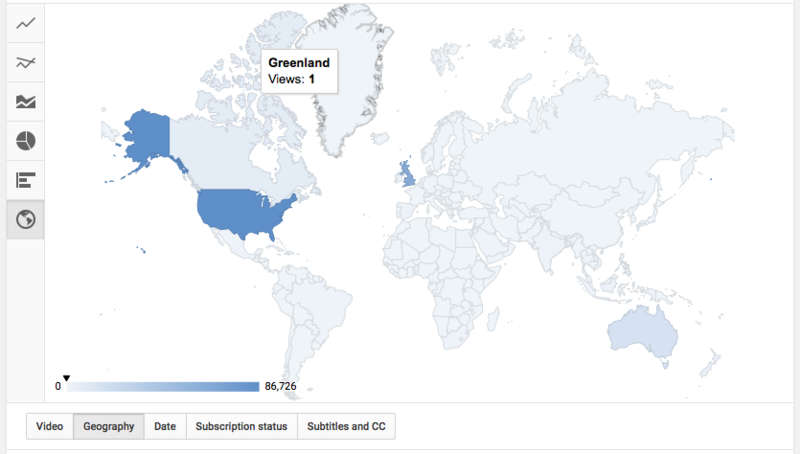 Everything we’ve done through our YouTube channel has reached out across the world. The whole reason for setting it up was to work with and support our global peers; for our Y3s to realise that they are connected to – and can inspire – eight-year-old children in Colombia, New Zealand, Japan and Lithuania. 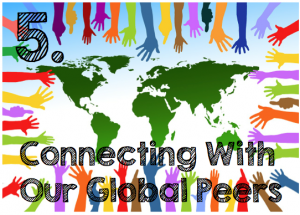 We call them our ‘Global Peers’ and feel privileged to be working alongside them. The launching of our school YouTube channel was a bold move to make, but by being brave and having a vision we have enriched our school community. What began as an airing of my World Book Day assembly, turned into one of the fastest growing school YouTube channels in the world – a project that gives such personal and school-wide pride. 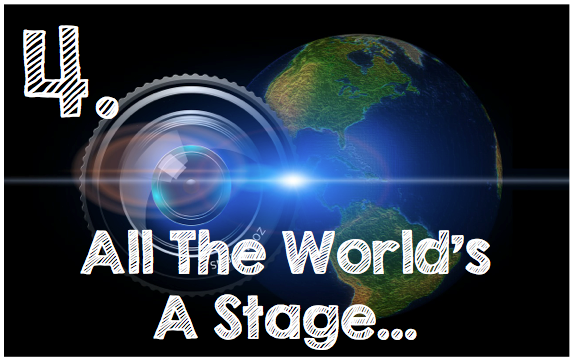 Maybe one day we’ll all be connected to share and collaborate on video projects far and wide – we can dare to dream.